Thank you to everyone that took the time to vote. When the voting started, the Classic series early on built momentum and was the clear winner at the end, while votes were split on the Silver series and the Natural series. The Bones Brigade 10 deck series will be released to the public on March 15, 2018. Each person who voted was entered for a chance to win a complete set. 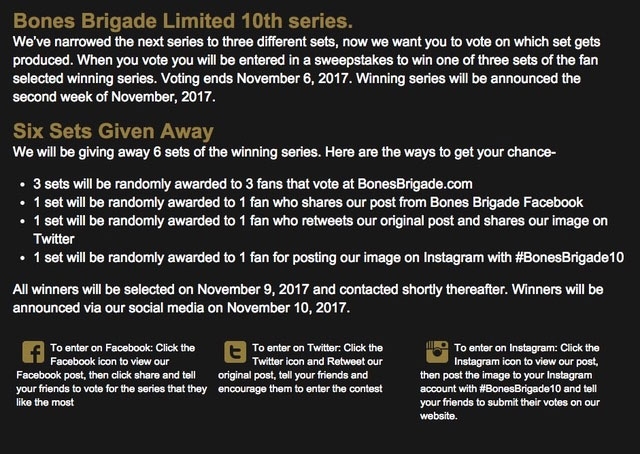 The BonesBrigade.com winners are B.Dubberly, M.Perry, and M.Allen. More chances to win a complete set was possible by sharing our post, retweeting our tweet, and posting our post. 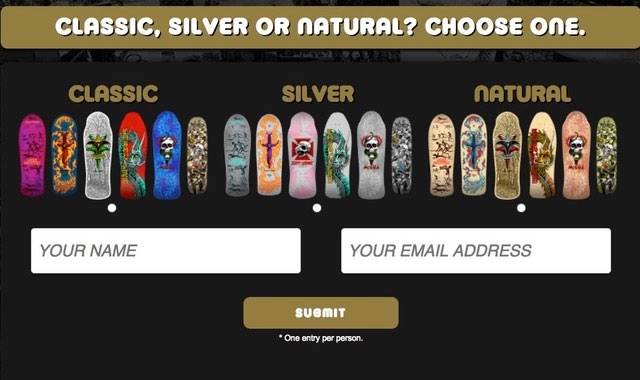 Their decks will be sent to them shortly after March 15, 2018.